We often say that children look at the world through fresh eyes. Spending time with a child can give you a new perspective on life and how you view the world. While experience is an excellent teacher, fresh eyes can see the tried and true in a way that you may not have considered before. How can you adapt the fresh eyes concept into your business? Marketing is successful when it gets prospects and customers to sit up and take notice of your service, brand or product. Some of the best commercials are the ones that make us laugh, cry, or even cringe. The problem is that sometimes marketers rely too much on old ideas and the view of experienced sellers and managers instead of looking for fresh eyes on a campaign. A great marketing campaign gives the audience an emotional connection with the company. Emotions give advertising a memory hook; they get remembered. Remember the "Hump Day" camel commercials that were on TV about a year ago? Do you remember who they were advertising? If you don't remember, they were advertising GEICO. GEICO specializes in goofy, funny commercials that are easy to remember due to their tone. Insurance is essentially a tedious business, so getting you to remember advertisements and brand names associated with them takes a memory hook. For GEICO, the gecko is one hook that most Americans can recognize and associate with the company. However, if they overused that hook, audiences would get tired of him. Instead, they come up with quirky commercials and throw in a camel to keep you focused and interested in their brand. Since you cannot see your own company through fresh eyes, it takes some testing to find out how new people respond to your campaigns. Your assumptions about who is interested in your products and why they are interested may be out of date. Periodic testing of your ideas is crucial to keeping your current customers and finding new ones. Before you run your marketing campaign, test your assumptions on real people to see how they respond. Real people are the target market you are shooting for, therefore if your tests tell you that you won't get the results you want, you can save yourself a lot of money. Keep tweaking and testing your campaign with real people until you find the right message, image, and concept that will get the response you want. What made the "Hump Day" commercials so funny? They were silly, harmless, and could never happen in the real world. Shock your audience with unexpected humor, meaning, or entertainment when you market. Find something that will resonate with them and use it to grab their attention. Obviously, any type of shock will only work for so long because it loses its effect after a time. 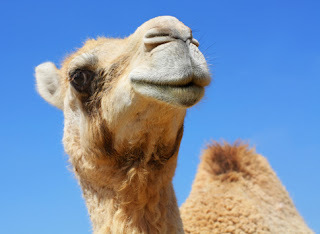 When was the last time you saw a "Hump Day" commercial, anyway?